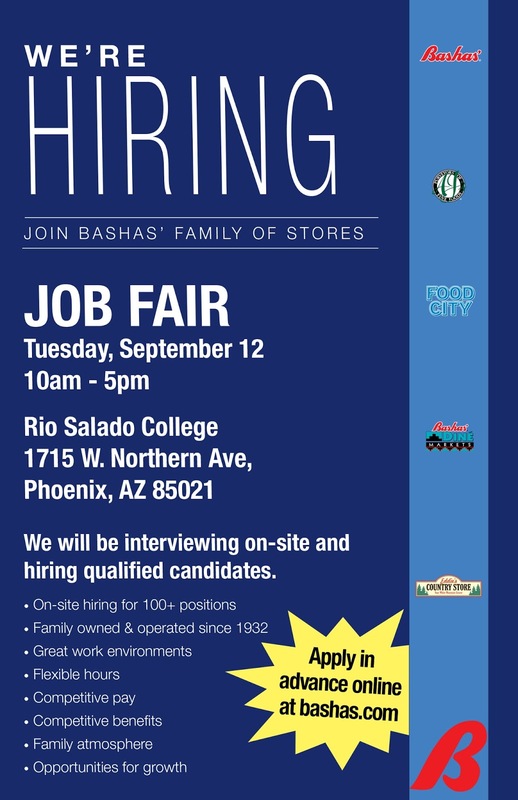 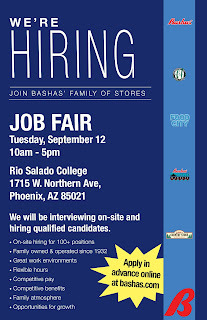 Take part in a free job fair hosted by Bashas' Family of Stores, Chicanos Por La Causa - CPLC and Rio Salado at Rio Salado Northern on Tuesday, Sept. 12, 10 a.m. - 5 p.m. 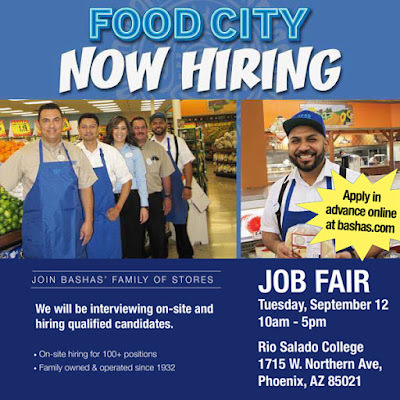 Participants will have a chance to take part in on-site interviews. The goal is to hire 100 people by day’s end.